Ken Butler doesn’t hoard, he creates. 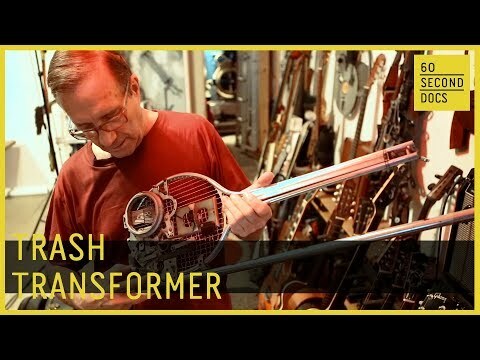 The 70-year-old musician transforms trash and unexpected objects from his home — such as brooms, spatulas, and golf clubs — into hybrid musical instruments. He’s made over 400 and continues to experiment with different sounds and combinations. Ken knows that not every single creation is visually stunning, but he believes it’s the character of the instrument that brings it to life.